At the beginning of the new year we look back at 2018 as our biggest one yet, not only with an increase of tours and guests but also with the operation of PTI’s most complicated tour to date. Ever thought of Iceland as a golfing destination? Have you ever thought of playing golf in the midnight sunset surrounded by lava fields? Or teeing off during the day then to go northern light hunting in the evening? If yes then you should definitely consider Iceland as your next golfing destination. Playing golf in the dramatic landscape that Iceland has to offer is an adventure you will remember for a lifetime. P.S. You should pack your rain gear because you never know how many variations of weather you will experience during the 18 holes! Who said you can only have fun in the sun? As autumn colors start to show it‘s time to look into your next holiday. When winter arrives in Iceland the streets glisten with the white snow and shimmering ice – what better time to head out into nature and do what Iceland does best.. Winter Activities! Whether you’re an adrenaline junky or new to the adventure life style, you’re bound to find something to get your heart pumping in Iceland. Our island is your playground; White water rivers, wide lava fields, blue glaciers and terrible canyons. Below you can find a list of our favorite extreme activities fit for any adventurer. Exiting times have been and are arriving in Iceland! Last year we saw the opening of the Skalakot Lodge on the South Shore, ION’s City escape hotel and now in 2018 we are seeing the much anticipated opening of the Blue Lagoon’s Latest property ‘The Retreat’. This 62 suite property located on a 800 year old Moss Covered Lava flow and features an underground Spa. And the summer see’s the sister property of Hotel Borg opening. Hotel Exeter, a cool contemporary hotel located by the Reykjavik Old Harbour, a restoration project from a house dating back to 1904. When the days get colder and the nights grow longer, we know that the season of the Northern Lights is upon us. The natural phenomenon that many people want to cross off their bucket list, can best be seen outside of Reykjavik. Due to Iceland’s unpredictable weather you often need a few nights until you can finally witness the dance of the Northern lights. This December, Private Travel Iceland – PTI ehf. 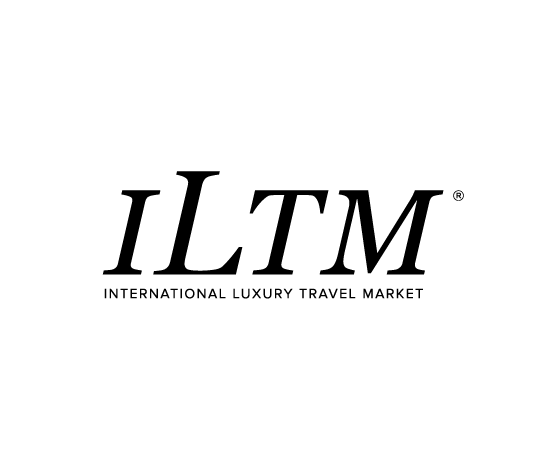 is attending ILTM for the first time. Up until now we have been flying under the radar, our reputation has proceeded us, carried by the word of mouth. From the beginning it has been our goal to provide excellent service which we can be proud of, leaving our guests amazed after their stay in Iceland. Our first and only priority is our guests comfort and experience, and by this means our list of happy clients has expanded as the time has gone by. Iceland is a unique destination that offers unspoilt nature, breathtaking landscapes and vibrant culture. Before you decide where to spend your next vacation, be sure to read up on our top 5 reasons to visit Iceland. Iceland is perfect for the luxury traveler with a world class accommodation, amazing restaurants, fun activities and breathtaking landscape. Combine all this with the perfect guide/driver and you will get a priceless and unforgettable experience. Discover 5 amazing luxury day tours in Iceland, available from Reykjavik City all year round. Iceland is an outdoor dream and one of the biggest playgrounds in the world. In Iceland you can find all kinds of activities and some of them will not end up on this list. I wanted to have a short list and something you could do in a short visit to Iceland. So we left out activities like horseback riding and rib boat safari at the glacier lagoon to name the a few. Iceland is the land of Fire, Ice and Water! The country is situated on a ‘hot spot’ resulting in geothermal activity. Begin your journey by sending us a request below or through info@pti.is We look forward to showing you Iceland through our eyes.